Living with acne and/or other skin imperfections is not only embarrassing, but it can also have a profound negative impact on your self-esteem and self-confidence. If you're suffering from severe acne or other skin conditions, you may feel unwanted, unloved, and inadequate. Chances are, you've searched and searched for that "miracle treatment," only to be let down time and time again. Maybe you've even thought, What if I could replace my current skin with new, beautiful skin? * This is a sponsored post for which I was compensated. The thought may sound like a far-fetched wish that will never come true. However, this is not the case. As a matter of fact, you can replace old skin with new skin using Retin-A Cream. That's right! Retin-A Cream may be the treatment you've been searching for to help find relief and the beautiful skin that's hiding beneath inflammation and redness. 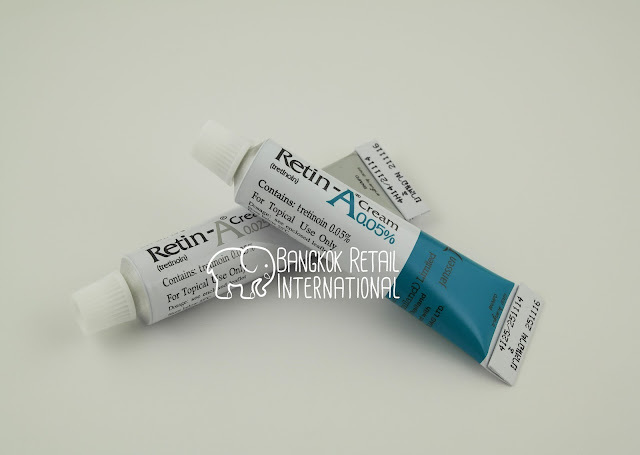 Retin-A Cream contains "tretinoin," which is a type of Vitamin A. Tretinoin is also listed on the World Health Organization's List of Essential Medicines. This ingredient has been used as an acne medication because it promotes the growth of new, healthy skin cells. It works by promoting peeling—before you think that sounds like something terrible, keep reading. When your skin begins to peel, it sheds the old skin which allows new, healthy skin cells to generate. You'll essentially "shed" the pimples, blackheads, and other skin imperfections, and eventually they'll be replaced with new, healthy skin cells. Whether you're dealing with rough skin, acne-prone skin, fine lines, wrinkles, freckles, or age spots, you may benefit from Retin-A Cream. It is FDA-approved and no prescription is required. Always use precaution when taking any medication. Dryness and/or increased light sensitivity may occur after using products containing tretinoin. Some may experience redness, scaling, itching, and burning sensations. Because of the possible side effects, it is wise to gradually increase the dose, based on your physician's recommendations. This allows the body to adjust to tretinoin and may help lessen the adverse effects associated with tretinoin. Use moisturizer and sunscreen to prevent extreme dryness and sunburn during use. Avoid using tretinoin during pregnancy. Interested in trying Retin-A Cream for yourself? It may be purchased from Bangkok Retail International for $15 for a 10 gram tube.